Simon Bellend… sorry, Simon Belmont. Perhaps the most ineffectual vampire slayer of all time! Whilst Corey Feldman and the Frog Brothers annihilated vamps with death by stereo and bathtubs of Holy Water to ensure the dreaded neck-biters never rose again, Simon struggled to fully dispatch Dracula on three occasions prior to his first iteration on the SNES. Okay, great uncle Trevor is to blame for one of those occasions, but don’t let that nuance distract from the utter incompetence of the continuing Bellen… sorry, Belmont legacy. Super Castlevania IV, pretty much an update of the original NES version for its super big brother hasn’t really dispelled that myth either thanks to Symphony of Night and Legacy of Darkness. So, a case of same old sh!t then? Nintendo have an unnerving habit of crafting new games from legacy titles that look fresh and full of beans on next generation systems, which are frequently unparalleled against other remakes. Mario, Zelda, Samus and Belmont have made a routine habit of this; using the new technology of each generation to soup up titles that may otherwise have just become nostalgia in the pantheons of history. Instead, such titles are usually much more than glorified updates. They’re some of the greatest and most influential games of each subsequent generation. Except Super Castlevania IV is a rare misstep. The eleven stages of monster bashing and platform jumping is a straightforward re-tread of the first Castlevania’s dynamic. Pick up a whip and mash baddies into submission whilst delicately leaping between pixels. 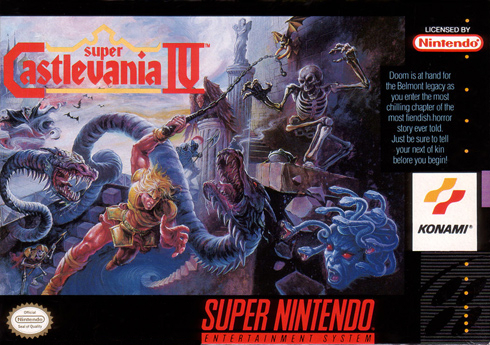 It’s hardly unique, but what Super Castlevania IV suffers in originality, it more than makes up for it in terms of difficulty. Swinging between platforms using the whip and timing one’s leaps are a frequent concern alongside spikes and other one-touch-kill objects, which more than make up for the pony attack patterns of way too many of the monsters encountered. 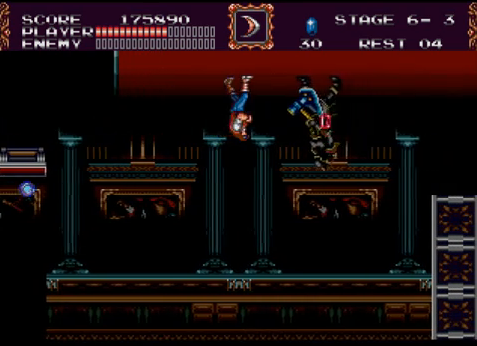 Bosses become gradually more challenging (the first few are pretty pish though) until they become stubbornly difficult at the higher echelons of Dracula’s chain of command. In addition, there are some great platforming segments. A vertical chase section where you have to race up a tower before a circular ball of spikey doom catches up with you is particularly marvellous. And this is all done with typical old-school gaming mechanisms – five lives, irregular restart points, against the clock – to ensure SCIV is no cake walk. The SNES also shows off some sumptuous graphics and audio. The music throughout is first rate, with the tunes finely balanced against the visual storyboard of Simon’s progress through Dracula’s domain. There are also some fine Mode 7 achievements. Swinging chandeliers and a room that turns 180 degrees provide a couple of wowser moments. There’s decent parallax scrolling throughout to boot, although the colour pallet of certain levels is questionable. There’s undoubted graphical quality here, but too often things are a little too garish. Still, this doesn’t really affect the gameplay. So, what’s the problem? In isolation and with a narrow world view, nothing really. 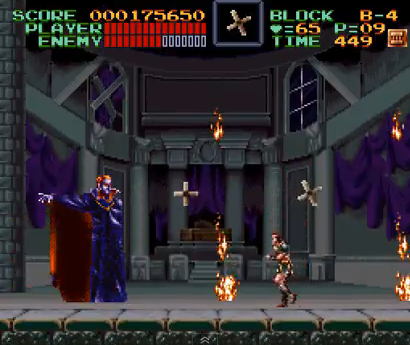 Super Castlevania IV is a competent and solid platformer which is a bit of a beast to complete, particularly the latter levels and the final meeting with the old teethy one who is a rock-solid hard b*stard. However, with background context, SCIV does little that is special and, in some aspects, appears relatively dated. 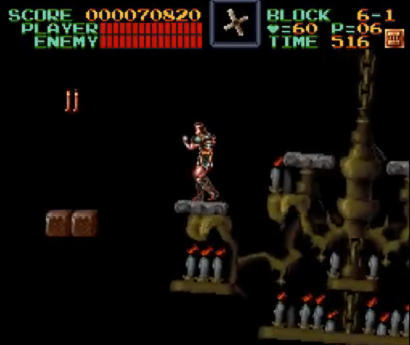 Turrican was released on home computers a year previously, and with its multi-directional scrolling (that would subsequently feature in the wonderful Metroid Prime), Super Castlevania’s plodding horizontal or vertically scrolling dynamic (never both at the same time) makes for some comparatively slow and ponderous left-to right linear platforming. This was fine in the age of the NES, but on the SNES, apart from the odd graphical gimmick, you would expect quite a bit more. It’s all just a little dated and, gradually, becomes all too dull all too quickly. 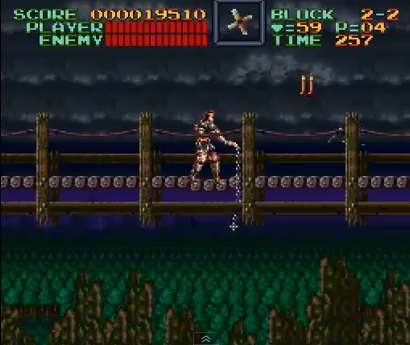 So, Simon’s re-tread of the first Castlevania’s platforming dynamic is hardly galvanising. The jump from 8-bit to 16-bit makes a vast difference graphically, but gameplay-wise it’s hardly the Emperor’s new clothes. And whilst it does have a decent challenge, Super Castlevania’s linearity at a time when its peers were coming up with far more interesting and accomplished platforming, makes for a rather underwhelming experience. Surely the non-linear gameplay of the first two sequels (especially Simon’s Quest despite the p!ss-poor dialogue translation) would have made for a far better transition to the new platform? 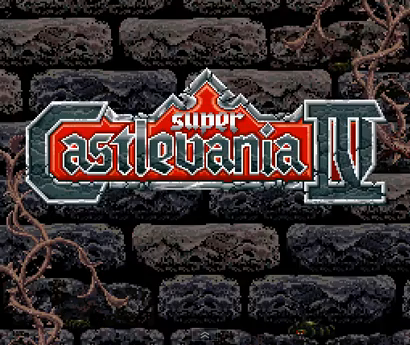 Whatever the decision-making process behind Super Castlevania IV’s formation, though, it remains a half-decent platformer, but after a while you’ll only end up comparing it to much better gaming experiences.